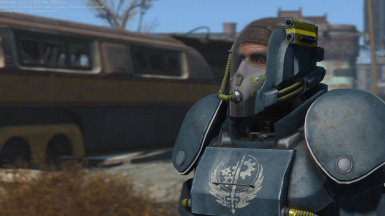 This mod brings the B-35C armor, built by the Brotherhood of Steel for heavy fire fights and dangerous terrain to the Commonwealth. 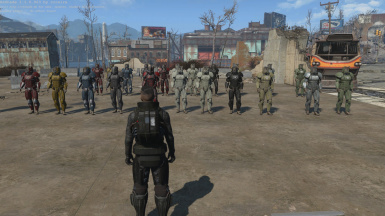 If you want to use my mod or any assets from it in your own mod, please send me a message and we can talk about it. Thanks to everyone on the nexus forum that helped me fix all of the problems i encountered, couldnt have made this without you guys! 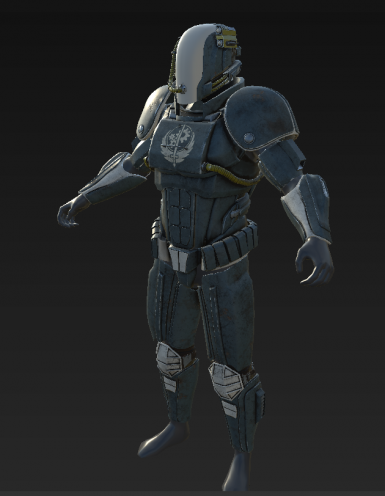 Check out the bodyslide files by deadpool0600﻿! After 8 months of me struggling to learn to work with 3dsMax and the modding tools and encountering probably just about every possible problem there has ever been in the history of modding i finally present you my first ever mod. The B-35C was built by the Botherhood of Steel as a heavier and more protective alternative to the heavy combat armor. 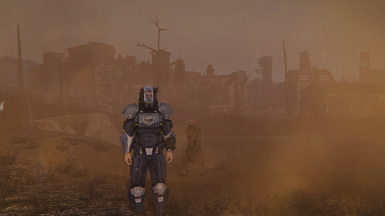 The bulky design and the close faced helmet with the small generator in the backback that powers the airsupply, make it perfect for heavy fire fights and long operations in dangerous or toxic terrain. 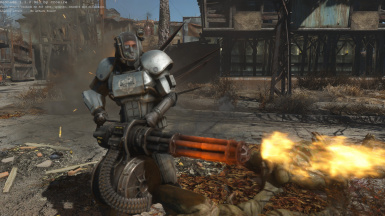 Its supposed to fill the gap between big and loud powerarmor which every raider in the Commonwealth will hear as soon as it drops out of the vertibird and the stealth but less protective combat armor. Thanks to JuiceHead for the awesome showcases! 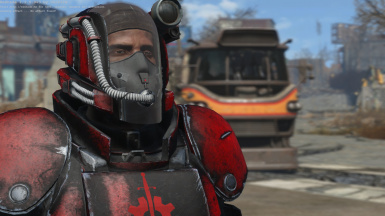 You can now buy the armor in Proctor Taegans shop on the Prydwen. 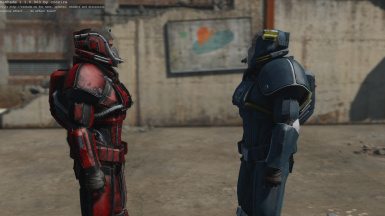 (howver it will still also be at the same location at vault 111 if you chose to fight the BoS) And BoS soldiers will start wearing it. 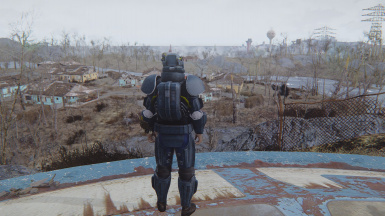 You can choose between using the unequipped pipboy mod that removes the pipboy and makes your left lower arm appear or not using it and having a pipboy but no lower left arm piece. 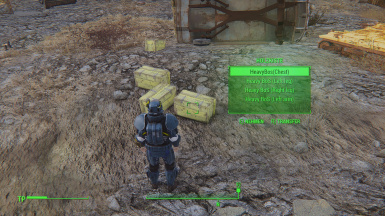 As already mentioned, it will be slightly stronger than the heavy combat armor, so yes it will be overpowered on lower levels but it is your decision to use it whenever you want to, even if that means that you will be basically invinceable for the first few hours of the game because you jumped right into it after you left the Vault. 1.3 Is finally out! 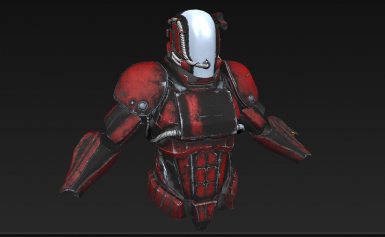 This update adds a total of 9 new paints for the armor, including all vanilla material options such as shadowed, BOS, polymer and more! 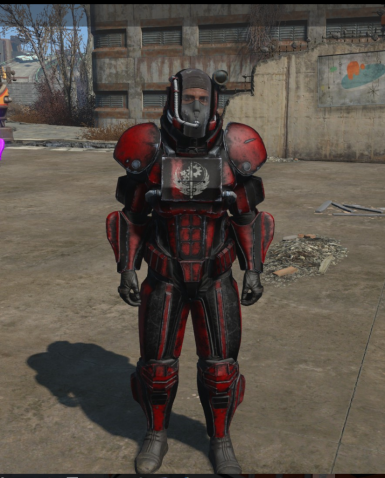 It also brings in a new Enclave decal and lets you apply all decals in both, white or black to the visor and the chestpiece. 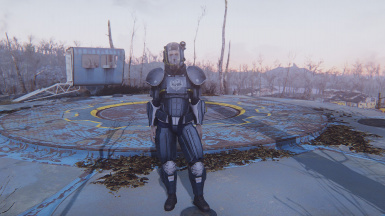 Fortunately i also accidently fixed the vats bug, where the game would crash if the player aims at someone wearing the armor in vats. If you have one of the paintjobs applied but you want to see the color of the material, just switch to the "material color" paintjob. If you want to see your paintjob again, just switch to the paintjob of your choice. The effects of the equipped material will stay active no matter if you have a paintjob applied or not. -Fix some little mesh issues that most of you probably wont even notice in game but theyre there and they annoy the hell out of me. English is not my mother language so if there are any mistakes in the description, please let me know! Special thanks to DogtoothCG for his streams where i learned about 96.354% of my modding knowledge and thanks for helping me out with a little problem i had. Thanks to Insaneplumber who cleaned up my esp file for me and pointed out a few issues that i wasnt aware of! 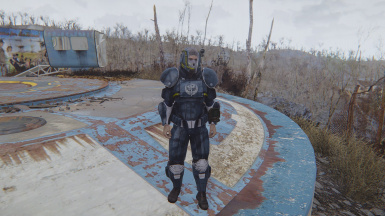 Huge thanks to ParasiteX and Endormoon who gave me the permission to use their decals, if you havent already, go check out their awesome custom combat armor mod! Also if you want to add your own images feel free to do so!